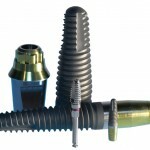 The concept and use of platform switching has gathered pace with the increasing numbers of dental implants being placed. platform switching (PS), where a small diameter implant abutment is placed in order to place the implant- abutment interface medial to the edge of the implant platform is considered to have a positive impact on maintaining marginal bone level (MBL). The aim of this review was to explore if there an impact of platform switching (PS) on marginal bone level (MBL) changes around endosseous implants compared to implants with platform matching (PM) implant-abutment configurations? 22 studies (involving 17 different implant systems) were included 15 RCTs and 7 PCCS . Only two RCTs were assessed as being at low risk of bias the remaining studies were all at high risk. The maximum follow-up period was 25 months following prosthetic loading; the minimum was 18 months following implantation. The meta-analysis revealed a significantly less mean MBL change at implants with a PS compared to PM-implant-abutment configuration. Studies included herein showed an unclear as well as high risk of bias mostly, and relatively short follow-up periods. The qualitative analysis revealed a tendency favoring the PS technique to prevent or minimize peri-implant marginal bone loss compared with PM technique. Due to heterogeneity of the included studies, their results require cautious interpretation. Previously we have highlighted an ADA-EBD critical summary (Dental Elf – 17th July 2012) of a 2010 systematic review by Atieh et al, which also address this topic. That review and a later one by Annibali both included 10 studies. Annibali also reported less mean MBL change 0.55 mm, (95%CI 0.86; 0.24; 0.87), p = 0.0006. While the review does suggest a benefit the quality and heterogeneity of the included RCTs can be questioned so the results need to be interpreted with caution. In addition the maximum follow period is still relatively short and longer-term outcomes helpful in order to gauge clinical significance. Strietzel FP, Neumann K, Hertel M. Impact of platform switching on marginal peri-implant bone-level changes. A systematic review and meta-analysis. Clin Oral Implants Res. 2014 Jan 20. doi: 10.1111/clr.12339. [Epub ahead of print] PubMed PMID: 24438506. Annibali S, Bignozzi I, Cristalli MP, Graziani F, La Monaca G, Polimeni A. Peri-implant marginal bone level: a systematic review and meta-analysis of studies comparing platform switching versus conventionally restored implants. J Clin Periodontol. 2012 Nov;39(11):1097-113. doi: 10.1111/j.1600-051X.2012.01930.x. Epub 2012 Aug 29. Review. PubMed PMID: 22931292. Atieh MA, Ibrahim HM, Atieh AH. Platform switching for marginal bone preservation around dental implants: a systematic review and meta-analysis. J Periodontol. 2010 Oct;81(10):1350-66. doi: 10.1902/jop.2010.100232. Review. PubMed PMID: 20575657.